This fantastic piece of furniture is imported direct from Italy. The piece can function as either a chest or a buffet. It is constructed of sturdy hardwood and given a smooth, black finish. 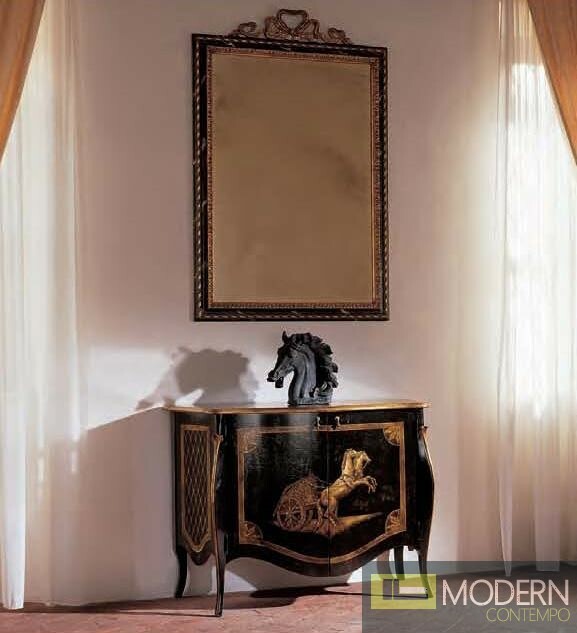 The chest has gold accenting allover, and a horse and chariot design embellished on the front. W53.7" x D24" x H39.4"